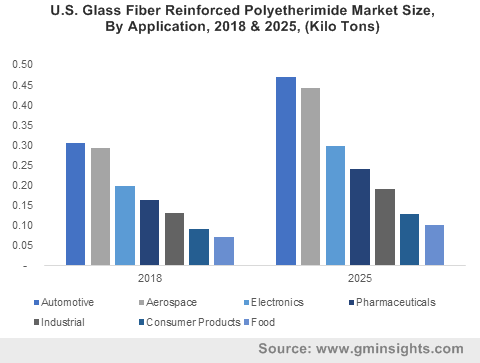 Polymers and Advanced Materials « Global Market Insights, Inc. The growth of the global polyetherimide (PEI) market is likely to be influenced by the changing environmental regulations and the rising awareness about manufacturing eco-friendly products. Some of the major factors that would help augment the demand for PEI in the future are its inherent characteristics, which include high strength & rigidity, a continuous use temperature of 180°C, good electrical properties, dimensional stability, long-term heat resistance and foremost, its ability to emit less smoke when exposed to open flame. These properties make PEI an ideal candidate for a plethora of applications in numerous industrial sectors. There once was a time when plastics were just considered cheaper alternatives for producing non-critical automotive components and were relegated to make vehicles lighter & more affordable by replacing materials previously used for aesthetics. 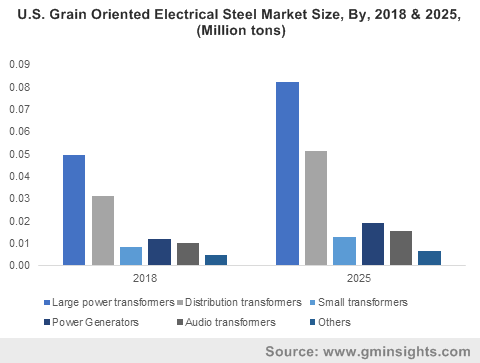 However, significant advancements in the industry have completely upended that notion, with these materials now being considered on-par with different metals in a majority of cases. Moreover, with metal-to-plastic conversion gaining mass acceptance, wherein metal automotive parts such as gears, bumpers, interiors, as well as fuel systems are being replaced with components made out of Injection molded plastics, thermoplastics like PEI have successfully established a unique application niche for themselves in the automotive industry. Furthermore, the introduction of an increasing number of government mandates pertaining to vehicle manufacturing, which aim to considerably dampen the industry’s overall impact on the environment, would be further augmenting the role PEI plays in the automotive sector. 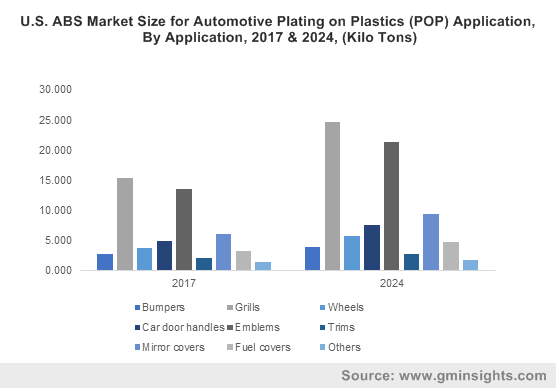 Driven by the fact that the material will continue to be deployed for lowering vehicle weight & enhancing fuel efficiency, the global PEI market size from automotive applications is projected to surpass the $290 million renumeration mark by 2025. While the automobile industry is a prominent marketplace for polyetherimide, the additive manufacturing (AM) industry is also a rather vital avenue that brings the high-performance amorphous polymer to several industrial sectors. The global additive manufacturing industry is an extremely powerful nerve center that is rapidly changing the way enterprises are manufacturing parts & products for various industries. This entry was posted in Polymers and Advanced Materials and tagged APAC Polyetherimide Market, Canada Polyetherimide Market, Europe Polyetherimide Market, Germany Polyetherimide Market, PEI Market, Polyetherimide (PEI) Market, Polyetherimide Industry, Polyetherimide Industry Analysis, Polyetherimide Market, Polyetherimide Market 2019, Polyetherimide Market 2025, Polyetherimide Market forecast, Polyetherimide Market growth, Polyetherimide Market Outlook, Polyetherimide Market PDF, Polyetherimide Market report, Polyetherimide Market share, Polyetherimide Market size, Polyetherimide Market Statistics, Reinforced Carbon Fiber, Reinforced Glass Fiber, U.S. Polyetherimide Market, Unreinforced. 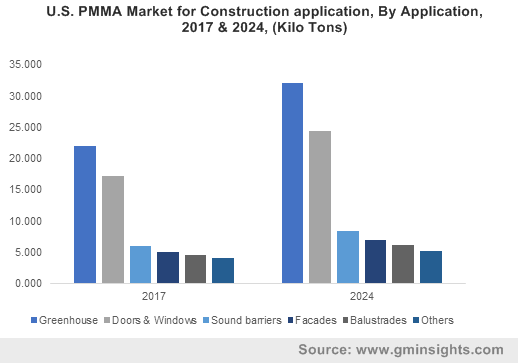 The global neoprene market is slated to significantly augment its remuneration portfolio in the forthcoming years owing to the proliferating automotive & construction sectors. Invented back in 1930 by a team of scientists at the DuPont company, neoprene is noted to be the world’s first successful synthetic-rubber product as it is considerably more resistant to water, heat, solvents and oils than natural rubbers, making the product highly significant. Indeed, it has been reported that immediately post its invention, the neoprene that was mass-produced in the U.S. had been deployed for war purposes, for manufacturing components such as fan belts, tires, gaskets for vehicles, seals and different types of gear. The discovery of the process of vulcanization further enhanced neoprene by making it melt-resistant & more elastic. Today, neoprene is widely used across a plethora of applications ranging from soft exercise weight coatings, wetsuits and automobile tires to sheathing bridge cables & bearing pads and sealing multi-story building floors. The product’s high tensile-strength coupled with its uncanny ability of withstanding heat, chemicals and weather degradation makes it an extremely important commodity for a number of industrial sectors. Neoprene is projected to maintain its position as the go-to family of synthetic rubbers for a number of applications that would help fuel the expansion of the global neoprene industry in the coming years. According to the American Automotive Policy Council, automobile manufacturers, along with their suppliers, are America’s biggest manufacturing sectors and are responsible for approximately 3% of the nation’s GDP. The sector is also known for the sheer number of job opportunities it creates, helping the government drive the nation’s economy. Apart from being the country’s biggest manufacturing sectors, the U.S. automobile industry is also its largest exporter. In fact, between 2014-2018, American automobile manufacturers exported over $692 billion worth of vehicles as well as vehicle parts, which is approximately $50 billion more than the nation’s next biggest exporter, the aerospace industry. 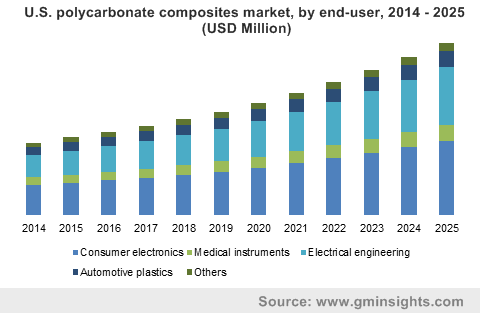 The exponential growth graph of the U.S. automotive and aerospace sectors would be majorly responsible for propelling the North America neoprene market over 2019-2025. The regional terrain is also expected to gain momentum from the fact the Canada neoprene market is experiencing significant growth since the last few years owing to the sharp expansion curve of the winter tire market in the country. According to a 2018 report by the Tire and Rubber Association of Canada (TRAC), the winter tire segment of the overall tire industry has depicted an impressive annualized rate of 4.5% over the previous six-year-period. 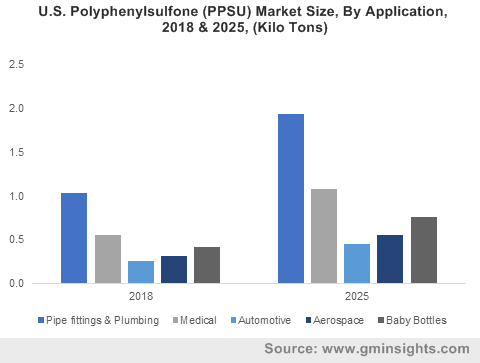 The expanding automobile industry across the U.S. and the growing winter-tire consumption rates in Canada are expected to be the primary driving factors fueling the commercialization spectrum of the North America neoprene market over the upcoming years. Home to some of the world’s biggest emerging economies, India and China, APAC is touted to be a dominant neoprene market player owing to the sheer volume at which the region’s automotive & construction industries consume neoprene products on an annual basis. According to the India Brand Equity Foundation (IBEF), in financial-year 2017-18, India’s automobile components sector accounted for approximately 2.3% of the nation’s GDP and employed more than 3 million individuals – directly and indirectly. The nation’s automobile components industry has been experiencing robust growth in recent years and even recorded a $51.2 billion turnover in FY18 – a valuation that is anticipated to surpass the $200 billion mark by FY26. This would consecutively establish India as one of the most lucrative investment grounds for neoprene market players, thereby propelling the expansion scale of the APAC industry. Apart from emerging economies, APAC is also home to a number of well-established economies, including Japan, Singapore, South Korea, New Zealand & Australia. Japan, touted to be among the world’s top 3 automobile manufacturers, would be another prominent neoprene market for APAC over the forthcoming years. Meanwhile, Australia’s construction industry has been slated to be responsible for further propelling the regional neoprene market share, owing to the Australian Government’s 2019 Infrastructure Priority List, which has picked out 121 nationally significant projects and has proposed a multibillion dollar budget to upgrade or develop the nation’s infrastructure. Amidst this backdrop, it comes as no surprise that the Asia Pacific neoprene industry is touted to record the highest CAGR over 2019-2025. Attributing to these proliferating regional trends, the global neoprene market has been projected to emerge as one of the most lucrative remuneration grounds globally. 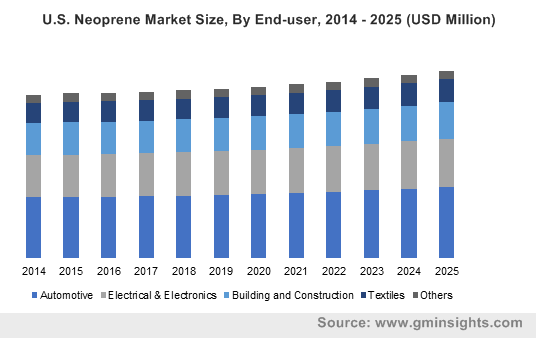 Powered by the consistent expansion of the global automobile & construction industries, the overall neoprene market size would be surpassing the $2.28 billion mark by 2025, claims a report by Global Market Insights, Inc. This entry was posted in Polymers and Advanced Materials and tagged APAC Neoprene Market, Canada Neoprene Market, Europe Neoprene Market, Germany Neoprene Market, Neoprene Industry, Neoprene Industry Analysis, Neoprene Latex, Neoprene Market, Neoprene Market 2019, Neoprene Market 2025, Neoprene Market forecast, Neoprene Market growth, Neoprene Market Outlook, Neoprene Market PDF, Neoprene Market report, Neoprene Market share, Neoprene Market size, Neoprene Market Statistics, Neoprene Rubber Sheet, Neoprene Sponge/Foam, U.S. Neoprene Market.